A federal appeals court on Tuesday threw out five of the convictions against former Illinois Gov. 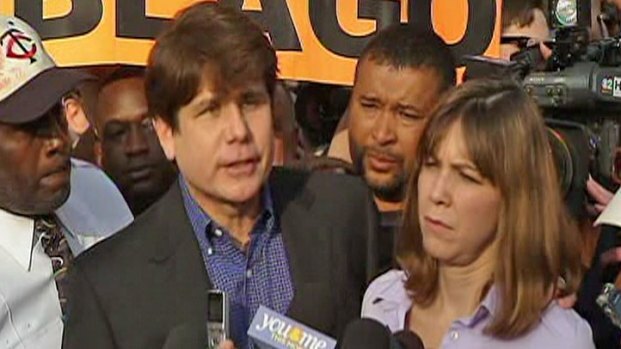 Rod Blagojevich, as well as his 14-year prison sentence, in a long-awaited decision from the court. Here are some key points. Read the full decision. Rod Blagojevich gets choked up as he talks to NBCChicago's Phil Rogers at Freddy's in Colorado before the former governor entered prison. 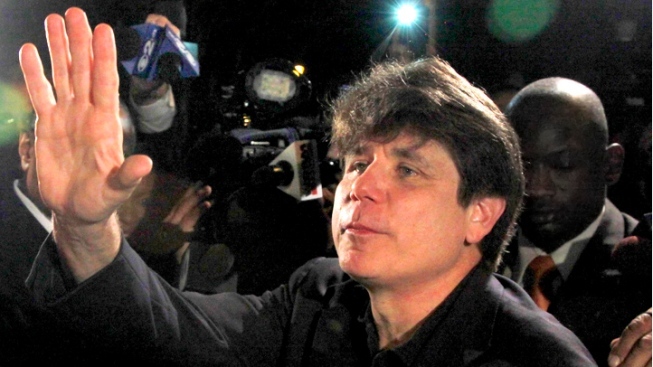 Blagojevich talks about being on the phone with his daughter and trying to stay strong. 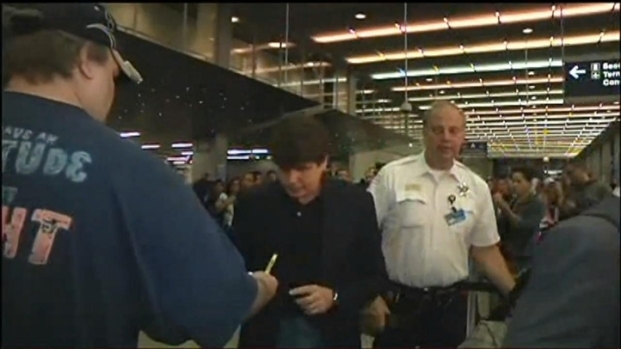 Before boarding a plane at O'Hare Airport to federal prison in Colorado, Rod Blagojevich stopped to shake hands and sign autographs before entering security. He'll serve a 14-year sentence at the Federal Correctional Institution (FCI) Englewood. “If the prosecutor [in the Blagojevich case] is right, and a swap of political favors involving a job for one of the politicians is a felony, then if the standard account is true both the President of the United States and the Chief Justice of the United States should have gone to prison” [in the Warren/Eisenhower scenario]. 8/26/2014: In what might be the highest level of communication the public has seen from him, Rod Blagojevich sent his wife, Patti, a letter this week from prison for the couple's 24th wedding anniversary. NBC 5's Phil Rogers reports.